San Francisco, CA – iWatermark, is the No. 1 and only watermarking tool available for all 4 platforms, iPhone/iPad, Windows, Android and Mac. iWatermark+ is the most popular & powerful professional watermarking tool for all platforms. Adobe Worldwide Creative Cloud Design Evangelist and Best Selling Author. Tap here for info or to download the free version. Tap here for info or to download the paid version. Since this version is not free if you are verified press please reply with credentials and we will respond with an Apple promo code. Easily, secure and protect your photos with Text, Graphic, Text On Arc, QR Code, Signature, Border, Vector, Resize, Custom Filters, Metadata and Steganographic watermarks. Once added to a photo these visible and/or invisible watermarks show the photo or video was created, edited and is owned by you. These unique features make iWatermark+ essential to professionals and beginners. The watermark types (above) found in iWatermark+ are not found in any other software. The ability to add visible and/or invisible watermarks is unique to iWatermark+. Using iWatermark+ within other apps as a photo editing extension for watermarks is also unique. Importing from all cloud services like Dropbox, iCloud, Box, Google Drive, OneDrive, Adobe Creative Cloud, etc. is unique. Relative and absolute scaling for batch watermarking of photos of different size and orientation. Unique! Use EXIF, IPTC, GPS and other metadata as a Tag in the Text watermark to display metadata on a photo is yet another unique feature. Some watermark types are visible and others invisible. Both serve different purposes. A visible watermark is where you superimpose your logo or signature onto your image. Invisible watermarks are not so obvious and are info buried in the file or image color data. Your custom watermarks are kept available and can be used with a tap on any photo or video. Another unique & essential feature. Visible WatermarksText- Any text including metadata with settings to change font, size, color, rotation, etc. Bitmap Graphic- A graphic is usually a transparent .png file like your logo, brand, copyright symbol, etc. To import. Border – put special borders on photos. Vector Graphic- Use over 5000 built-in vector (SVG’s) to display perfect graphics at any size. Resize – – tap to add add custom resize as a watermark to any photo(s). Custom Filter – – tap to add add custom filter as a watermark to any photo(s). Signature- Sign, import or scan your signature into a watermark to sign your creations.Invisible WatermarksMetadata – Adding information (like your email or url) to the IPTC or XMP part of the photo file. iWatermark is a specialized professional tool to watermark photographs and video. Less expensive, more efficient, faster and simpler to use then PhotoShop. iWatermark is designed exclusively for watermarking by a photographer for photographers. It is particularly important for anyone doing social media like Facebook, Instagram, Twitter, etc. * Watermarks photos and videos too. * Import photos or videos from Camera Album, iCloud, Dropbox, GoogleDrive, Box and other cloud services. * Application of multiple watermarks to photo(s) or video(s). * Watermark one or multiple photos in batch mode. * The ability to create, archive and apply 12 types of watermarks, far more than any other watermarking app. The 11 total watermark types = 9 visible + 2 invisible listed below. – Text Watermark – and change the font, color, angle, opacity, etc. – Arc Text Watermark – and change the font, color, angle, opacity, etc. – Bitmap/Logo Watermark – import your logo or use art from the included library. – Vector Watermark – use the built in vector watermarks. – Border Watermark – place a special border around photo. – Signature Watermark – scans, creates and applies a watermark using your signature. – QRCode Watermark – creates a watermark that is like a barcode, readable by any smartphone camera and can contain up to 4000 characters of info, like name, email and url. – Resize watermark – tap to add add custom resize as a watermark to any photo. – Custom Filters – tap to add add custom filter as a watermark to any photo. * 292 excellent fonts for your text watermarks. * Engrave and emboss text. * Signature scanner to instantly import your signature or other graphic as a watermark. * Live preview and editing of font, color, scale, opacity, size, position and angle. * View metadata & exif in photos. * Fast 32/64 bit multi-threaded app that can use CPU/GPU’s . * Only iWatermark+ has a steganographic watermark that embeds/encrypts info invisibly in the photo. * Great manual and support. * Share easily to Facebook, Flickr, Instagram, Twitter and many more. * Watermark manager which can track hundreds of watermarks. The manager also allows locking/unlocking, renaming, deleting, previewing of watermarks. Digital watermarking is the latest form of watermarking. Similar to the physical watermarks in paper, digital watermarks can be used once again to identify the owner/creator and authenticate digital media like images, audio and video. ✔ Adding an iWatermark subtly displays, no matter where your photo or video goes, that it is owned by you. ✔ Always, iWatermark with name, email or url so your creations have some visible legal connection to you. ✔ Promote and protect your company, name and website by iWatermarking all photos/videos you release. ✔ Easily, secure and protect your photos with visible & invisible iWatermarks which display they were created and are owned by you. – iWatermark 4K videos, 1080, 720 etc. – Import single or multiple photos or videos from Cloud services like iCloud, Dropbox, Google Drive, Box, etc. – Better use of memory. This is critical as phone apps start to be more powerful than desktop apps. Yes, we know that sound crazy but it is happening. This app is perfect for use with Apple iPhone/iPad, Canon Inc., Nikon Inc., Olympus Inc., Sony Inc., Samsung, SLR, regular cameras. 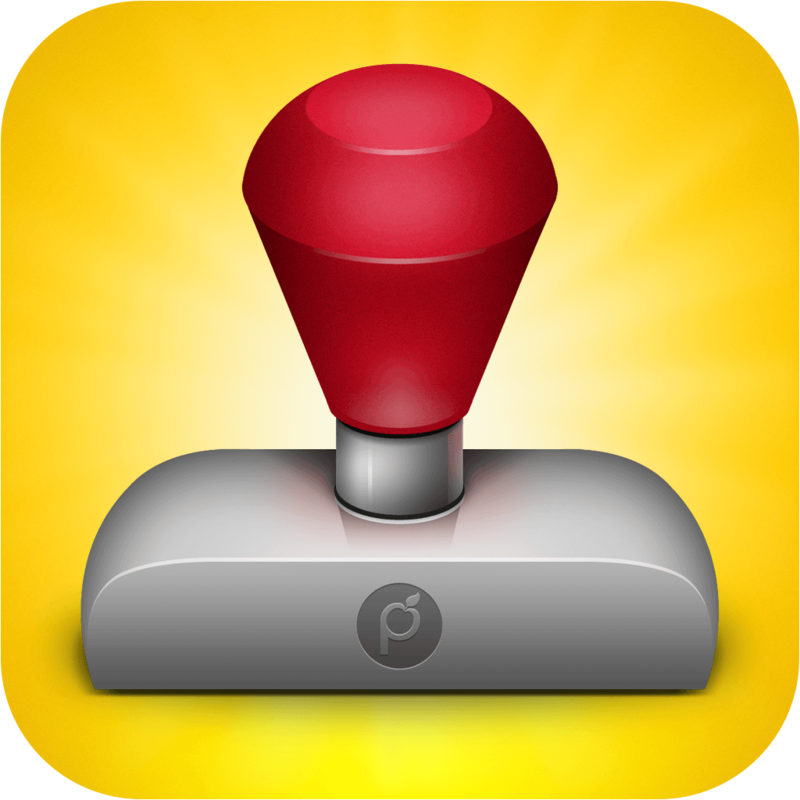 Plum Amazing Software today announced version 4.5 of iWatermark+ for iOS. iWatermark+ which adds professional watermarking of 4K video. iWatermark+ is the only watermarking tool available for all 4 platforms, iPhone/iPad, Android, Windows and Mac. iWatermark+ is the essential watermarking app for professional photographers for business and personal use. Batch or sequential processing. Relative and absolute scaling. Database of all sample and user custom watermarks available with a tap. Watermarks types include, Text, Graphic, Vector, Text On Arc, QR Code, Border Signature, Resize, Custom Filter, Metadata and Steganographic. iWatermark+ YouTube Tutorials – useful series of very short tutorials/insights. Plum Amazing, Llc is a privately held company dedicated to creating iOS, Windows, Android and Mac apps. Plum Amazing is a worldwide provider of mobile and desktop applications since 1995. Plum Amazing creates and sells software via it’s own, Google and Apple’s website but also does development work (programming) for other companies and clients especially in the area of photography. We have a passion for creating great products like CopyPaste, iWatermark, Essential, iClock, TinyAlarm, TinyCal, PixelStick, MountWatcher, SpeechMaker, PhotoShrinkr and others. Copyright (C) 2018 Plum Amazing. All Rights Reserved.